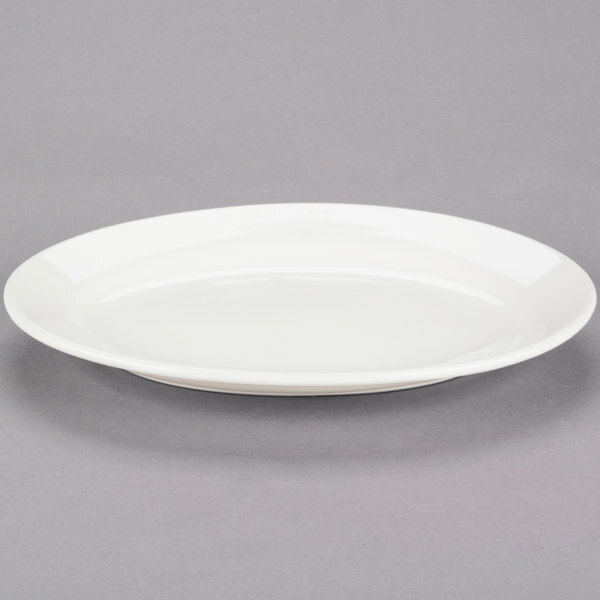 Serve breakfast, lunch, and dinner entrees with this Choice 10 3/8" x 7 1/8" ivory (American White) wide rim rolled edge oval china platter. "Very useful plates for a low price! 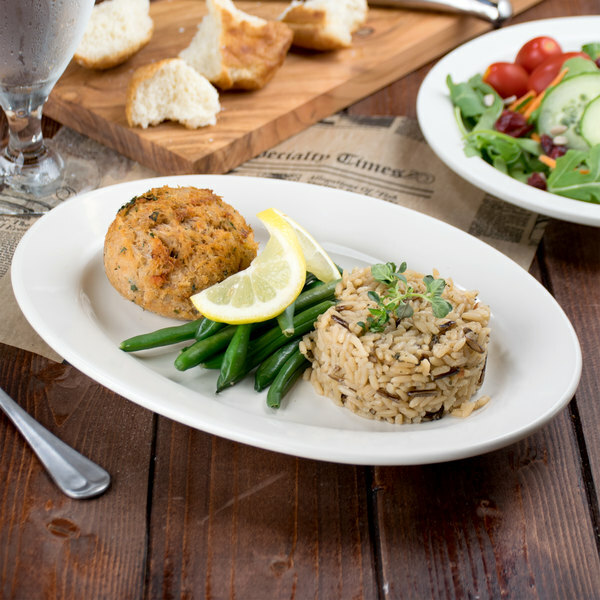 We needed basic plates to use in our bakery/sandwich shop and these fit the bill perfectly! Very sturdy material, holds up well to lots of use and have even survived a few low-height drops. They can tend to hold a lot of heat when used in the microwave…"
This 10 3/8" x 7 1/8" platter is ideal for serving shared appetizers and entrees. 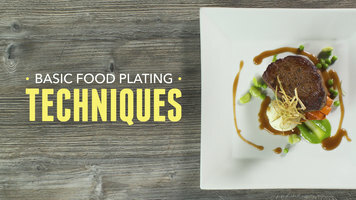 With ample room for unique plating, your chefs can add a creative touch to each dish for a dining experience your guests will remember! The wide rim expertly frames each dish and helps prevent messes or spills by keeping foods and sauces contained on the platter so you can create eye-catching displays. Very useful plates for a low price! 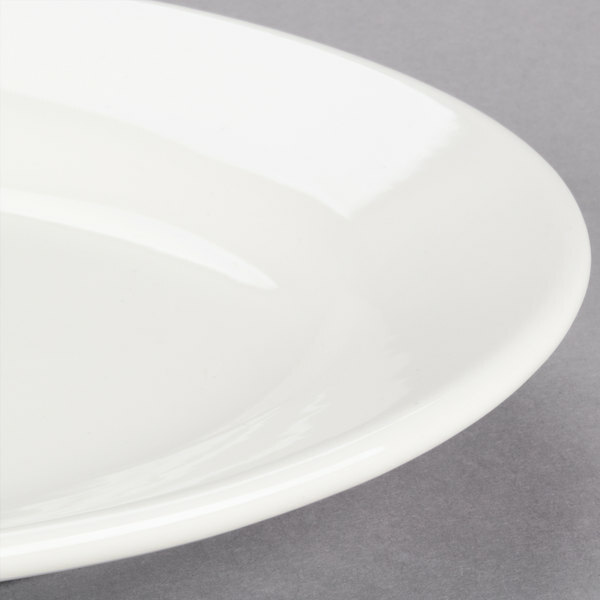 We needed basic plates to use in our bakery/sandwich shop and these fit the bill perfectly! Very sturdy material, holds up well to lots of use and have even survived a few low-height drops. They can tend to hold a lot of heat when used in the microwave back to back multiple times. 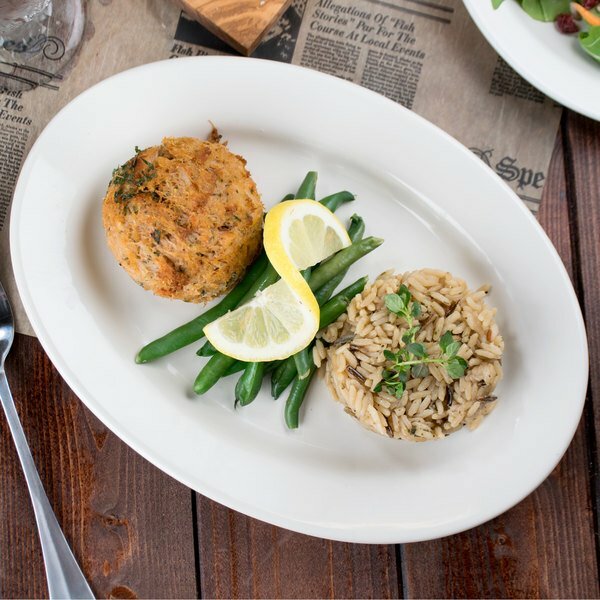 We had a hard time finding reasonably priced plates for general use, and these have answered our call! Very strong plate but it is too heavy not easy to carry two or three at the same time. I like it but my waiters always complaint about the weight. 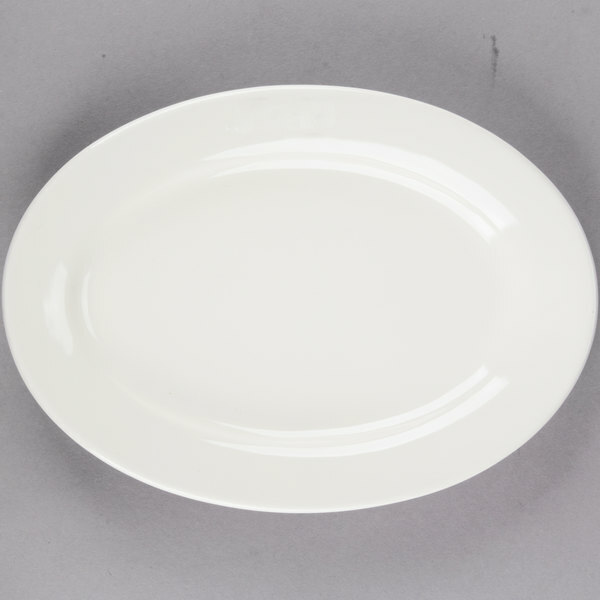 The Choice 10 3/8x 7 1/8 oval china platters are great quality at an affordable price. 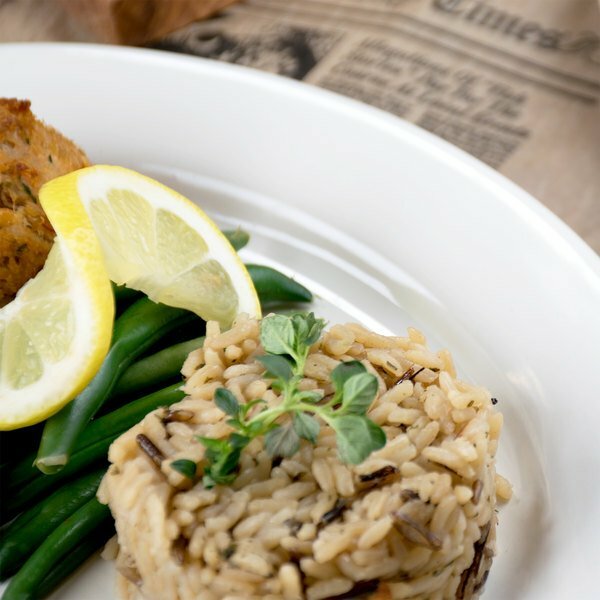 We love the simplicity and they look great with the rest of the table setting at meals. Durable, sturdy, no issues and we use them daily. we use some china and this holds up well. We like the american white and the size is great for sandwiches. for the price it holds up well.